The moon is, in terms of distance, the closest heavenly body to earth. We can see it in the sky for three weeks out of four, and for thousands of years, people have used its light to guide them in the dark. In addition to the personification of the moon as deity, there are all kinds of fascinating legends and myths associated with the moon and its cycles. Did you know that the word lunatic comes from the Latin luna, because it was believed that people were more likely to exhibit aberrant behavior during a full moon? Although studies have been done showing that emergency room visits and accidents are increased during the full moon period, there has yet to be conclusive evidence for causation. The moon seems to have an effect on animals as well as people. Dr. Frank Brown of Northwestern University, an expert on animal behavior, reports that hamsters spin in their wheels far more aggressively during the moon's full phase. Deer and other herbivores in the wild tend to ovulate at the full moon, and in Australia's Great Barrier Reef, the full moon is mating time for coral. The Strange Case of Dr. Jeckyll and Mr. Hyde, by Robert Louis Stevenson, was inspired by the strange – and yet very true – case of Charles Hyde, a London man who committed a series of crimes at the time of the full moon. In some countries, a halo around the moon means bad weather is coming. From a folkloric standpoint, however, many traditions of weather magic indicate that a lunar halo means rain, snow, or other foul atmospheric conditions are on the way. Related to the lunar halo is the phenomenon called a moonbow. Interestingly, because of the way light refracts, a moonbow – which is just like a rainbow, but appearing at night – will only be seen in the part of the sky opposite of where the moon is visible. There's a great piece over at History.com that looks at some even more outlandish myths, including the ideas that aliens inhabit the moon, that the moon is actually a hollow spacecraft, or that there was a secret Nazi base there during World War II. "The new and first-quarter phases, known as the light of the Moon, are considered good for planting above-ground crops, putting down sod, grafting trees, and transplanting. From full Moon through the last quarter, or the dark of the Moon, is the best time for killing weeds, thinning, pruning, mowing, cutting timber, and planting below-ground crops." For many Pagans, the cycles of the moon are important to magical workings. It's believed in some traditions that the waxing moon, the full moon, the waning moon and the new moon all have their own special magical properties, and so workings should be planned accordingly. The full moon has long had an aura of mystery and magic about it. It is tied to the ebbs and flows of the tide, as well as the every-changing cycle of womens' bodies. 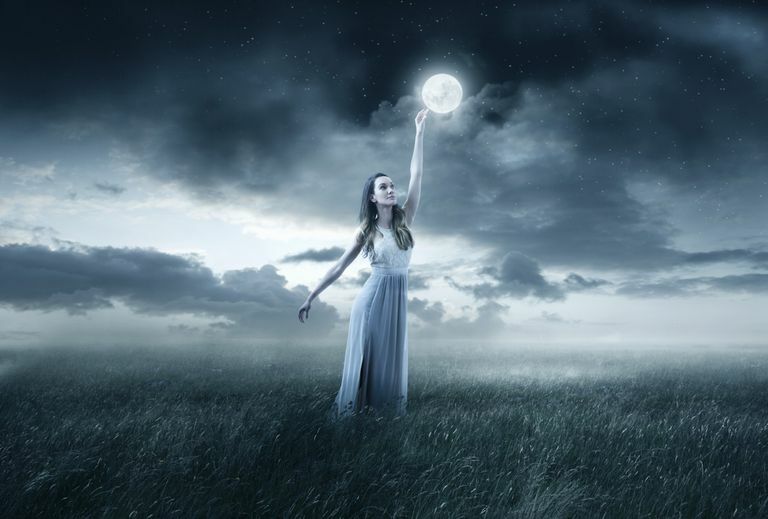 The moon is connected to our wisdom and intuition, and many Pagans and Wiccans choose to celebrate the full moon with a monthly ritual. Do you have to wait for a certain phase of the moon to do a Tarot reading? Not necessarily... but here some ideas on how specific phases may impact the results.